PoPville » SKWR ‘n TRBL? 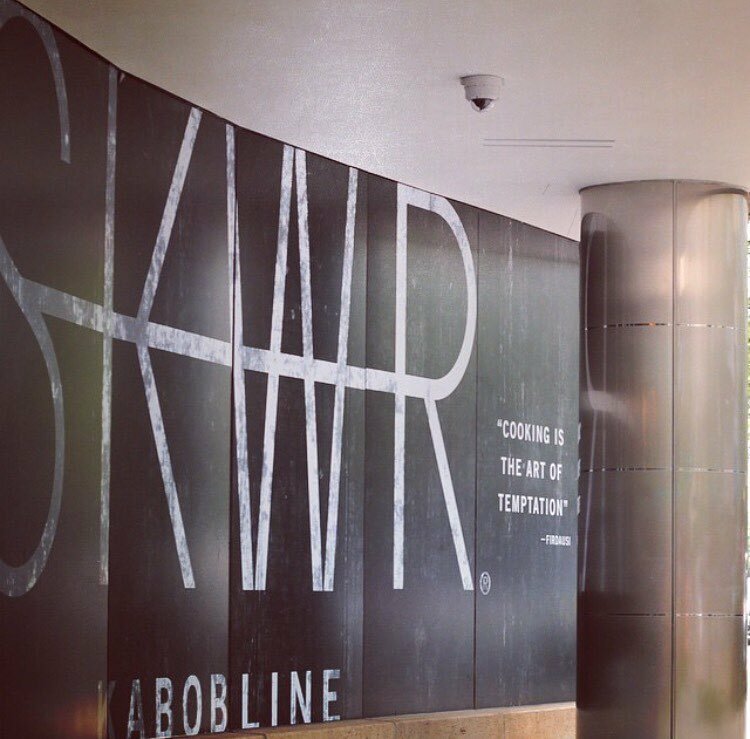 SKWR opened at 1400 K Street NW back in 2015. “SKWR is a young company based out of Washington DC, established in 2015 by cousins and DC natives Tamim and Masoud Shoja. The name SKWR is a nod to the age old method of cooking kabobs, exotically seasoned proteins rotated over an open flame. Yet SKWR offers a refreshing take on this tradition, drawing inspiration from the ingredients that define the ancient eastern art of kabob to cultivate a unique cuisine in a new American niche.